Our vision for Science at Matakana School is for students to develop a library of experiences to nurture curiosity. Students are encouraged to explore the natural and physical world around them by developing the skill of observation, critical thinking and making connections so they can participate as informed and responsible citizen in a world where science plays a significant role. 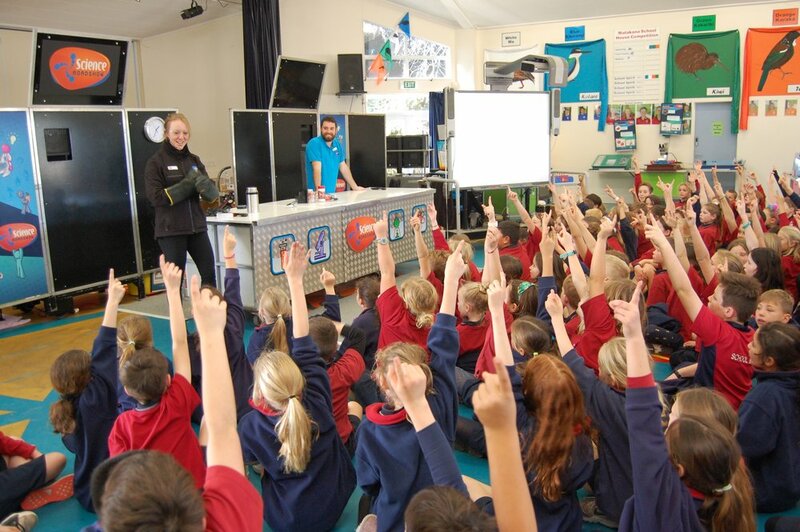 Science days were introduced at Matakana School in 2014 where students engaged in ‘hands-on’ science experiments during each theme week throughout the year. Science kits rotate around classrooms, with a range of simple, yet fun investigations to trigger observing, inferring, explaining and possibly seeing patterns in science. Want to know what interesting science concepts your child will enjoy learning about this year? Look at our curriculum overview so find out!